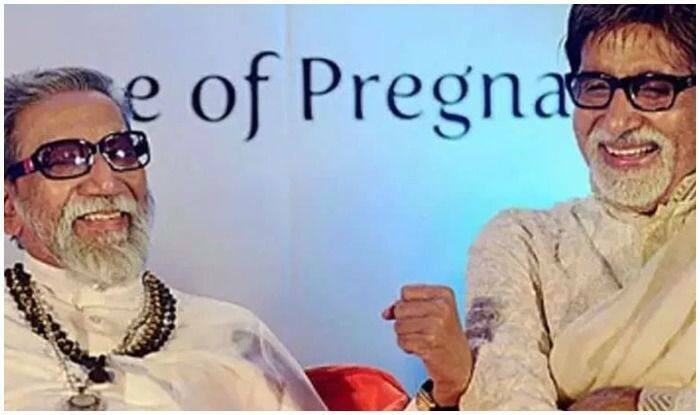 Sharing other stories from their close bond, Amitabh narrated the incident when he had got married to veteran actress Jaya Bachchan and Balasaheb had treated her like his own daughter-in-law. Spilling beans on his friendship with the late Indian politician Bal Thackeray, at the trailer launch of the politician’s biopic – Thackeray, megastar Amitabh Bachchan recalled an incident when he was injured on the sets of his 1983 blockbuster Coolie. On being brought back from Bengaluru to Mumbai in a critical state, after injuring his back, the stormy weather did not allow any ambulances to reach Amitabh. It was at that time when Bal Thackeray made a Shiv Sena ambulance available for the injured superstar. Sharing other stories from their close bond, Amitabh narrated the incident when he had got married to veteran actress Jaya Bachchan and Balasaheb had treated her like his own daughter-in-law. Another time, Amitabh, to his surprise, found his picture in Balasaheb’s room. Directed by Abhijit Panse and written by journalist and MP Sanjay Raut, who is also a senior member of the Balasaheb founded Shiv Sena party, the movie was reportedly objected by CBFC for a particular Babri Masjid scene and another dialogue, Yandu Gundu, which has been used against the South Indian community staying in Mumbai. Slated to release on January 23, Thackeray’s 93rd birth-anniversary, the movie features Nawazuddin Siddiqui in the titular role and Amrita Rao essaying the role of his wife. Thackeray will be released in three languages- Hindi, Marathi, and English.